The Most Beautiful Villages and Towns of the Pacific Northwest wends its way from nineteenth-century seaports like Port Townsend, Washington, to twenty-first-century ski resorts such as Whistler, British Columbia; from coastal getaways like Cannon Beach, Oregon, to Old West-style main streets in Joseph at the eastern border of that state. And it brings to life the stories of those who made epic journeys across the continent, trudging along the Oregon Trail or building the Canadian Pacific Railway in pursuit of the good life in this corner of North America. 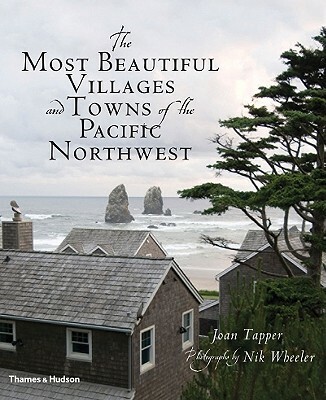 Along with tales of specific towns there are photo essays--on the picturesque lighthouses that protected shipping from the dangers of the Graveyard of the Pacific; on the gorgeous gardens that capitalize on the Northwestern climate; and on wine country, where new and acclaimed vineyards go hand in hand with an emphasis on lifestyle..